Though most plants seem to be turning brown and looking sickly, the garden isn’t ready to keel over and die just yet. This Autumn has been very mild and damp, so many plants have simply carried on living, oblivious to the fact that they, perhaps, should have finished and gone to bed. I picked all of the Osteospermum flowers to bring inside last week and that must have prompted the plant to make some more while I wasn’t looking. 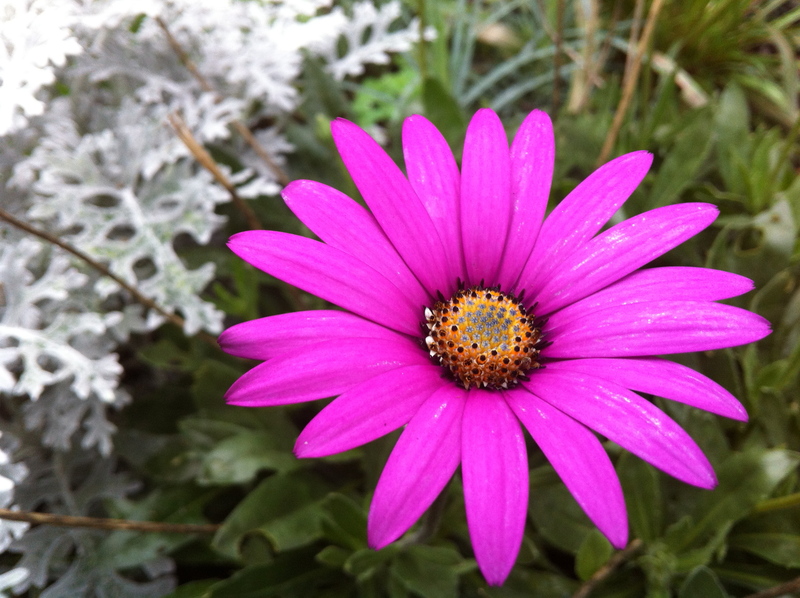 It is meant to be a hardy Osteospermum, but we only have one plant, however, if all of the cuttings of it take root and survive into next spring, there will be seven more to find room for.